Kaija Sofia: Christmas is Coming! Yes, I know it's only November, but today we woke up to a thick frost, and icy fog, and it suddenly feels like winter. Christmas decorations are going up all around town, and if you open a door suddenly, there's a chance someone in the room will giggle guiltily and hurriedly hide something present-shaped. 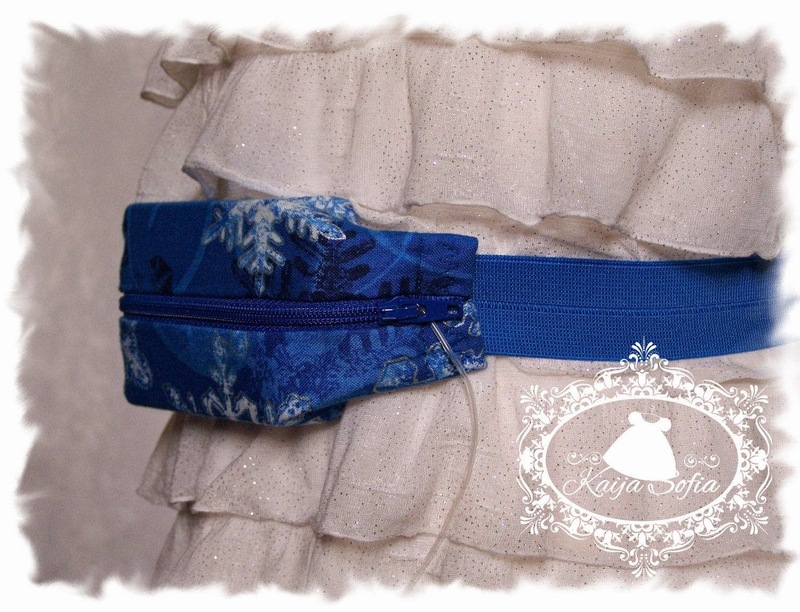 It also means that I can get out all the gorgeous Christmas and winter fabrics that I love so much, and make a few insulin pump belts. This blue snowflake one is a favourite. I've also uploaded one or two more to my Etsy shop, and I have other Christmas fabrics available for custom orders. Now, off to put the fire on, make a big cup of tea, listen to some Christmas carols and plan new festive items for the shop!